The Iranian Foreign Ministry spokesman has dismissed the latest “delusive” anti-Iran remarks by US National Security Advisor John Bolton, saying he is seeking to justify his previous wrong analyses, instead of understanding the culture of the great nation of Iran. 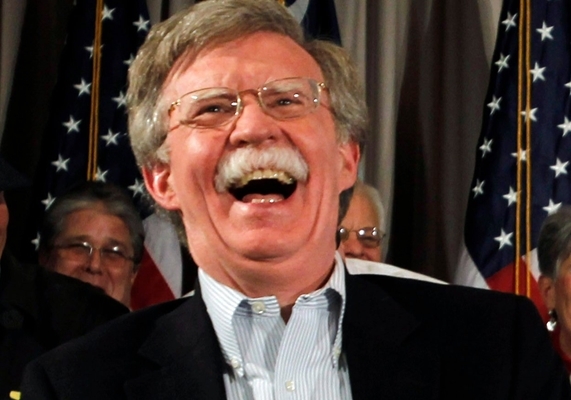 “John Bolton suffers from a totally chronic type of delusion regarding Iran and Iranians,” Bahram Qassemi told IRNA on Tuesday in reaction to Bolton’s Monday comments about the Islamic Republic. “Despite all the self-made illusions and imaginations and the suggestions of certain allied terrorist groups, he is now seeing that the glorious rallies marking the 40th anniversary of the historic revolution of the great Iranian nation have faded away his naïve and weird dreams,” he noted. Instead of reconsidering his wrong insight and interpretation, Bolton has maintained his long-standing grudge, and raised naïve promises and imaginary notions in a bid to justify his earlier wrong analyses and unfulfilled prophecies, he said. Bolton, who in 2017 had vowed he would celebrate in Tehran before 2019, made comments against the Iranian government in a tweet on Monday. His tweet came after millions of Iranians took to streets on Monday to celebrate the 40th anniversary of the victory of a revolution that toppled the US-backed rule of Mohammad Reza Pahlavi and created the Islamic Republic.